Off to a fun anatomy to start the new year off and it’s been a while since I’ve shown a few more examples of this one. This one sometimes tricks a few people at first when trying to figure it out. This week is a soft tissue entity visible on both intraoral and extraoral radiographs. The nasolabial fold presents as a diagonal transition line. A transition line presents as a line where part of the radiograph appears more radiopaque due to superimposition of soft tissue. The nasolabial fold is seen over the maxillary premolar and canine regions. Pantomograph with the nasolabial fold noted with yellow lines. It is easier to detect on this view when a patient is edentulous in this area and it is more pronounced on patients (typically older individuals). 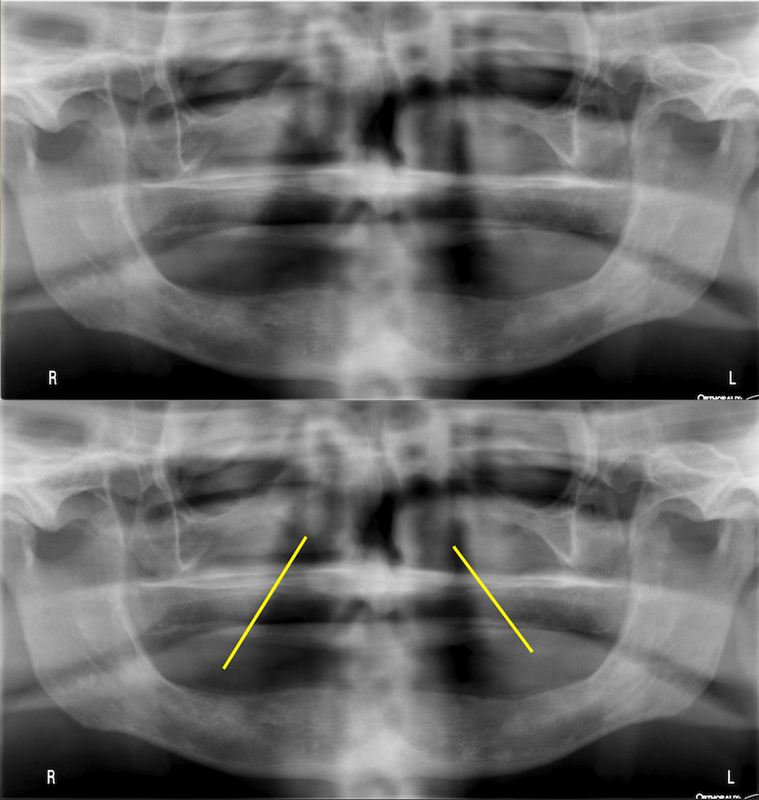 Periapical radiograph showing the nasolabial fold with a yellow line. Again it is easier to detect in edentulous areas.